Oklahoma Connection | Zuhdi came to Oklahoma City, Oklahoma in 1957 to the University of Oklahoma Medical School. Dr. Zuhdi was the first surgeon in the world to have a pregnant mother and child survive following open heart surgery, in 1964. The mother was from Henryetta, Oklahoma. 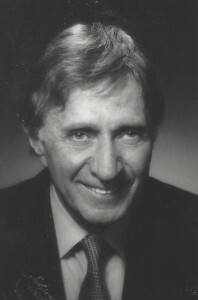 Nazih Zuhdi was born in Beirut, Lebanon and arrived in New York City in 1950 to obtain his medical training at Columbia University, State University of New York, and the University of Minnesota. His main emphasis during his entire career from 1950 to 1999 was in the field of heart surgery, of which he was considered a pioneer. Recognized internationally for lifetime achievements in cardiopulmonary bypass designs and modus operandi, open heart surgery and transplantation, Dr. Zuhdi was responsible for the creative work of a double helical reservoir heart-lung machine, an implantable bypass mechanical heart, and a variant pig valve universally used as one of the modalities to replace diseased heart valves. His arrival to Oklahoma City ushered the era of open heart surgery to the state. In 1959, he devised and perfected a non-blood prime for the heart-lung machine producing intentional hemodilution which is presently used with variants in all continents particularly for all forms of open heart surgery and heart transplants. Dr. Zuhdi founded the Oklahoma Transplant Institute at Baptist Medical Center in Oklahoma City for all types of solid organ transplantation. It has grown to international significance for its preeminent clinical, teaching and research environments. Among other firsts, Zuhdi performed Oklahoma’s first heart transplant (1985), a heart-lung transplant, and a single and double lung transplant. See pictures of Nazih Zuhdi and other media HERE.